For some of the propose of the of the environment and our final animatic we have used a program called Qanimator to create animations for our avatar to perform. To add to the interaction and to give our avatar a prop we have created one animation for the lantain so that he holds it in the correct way and this also gives a lighting effect in the tunnel. 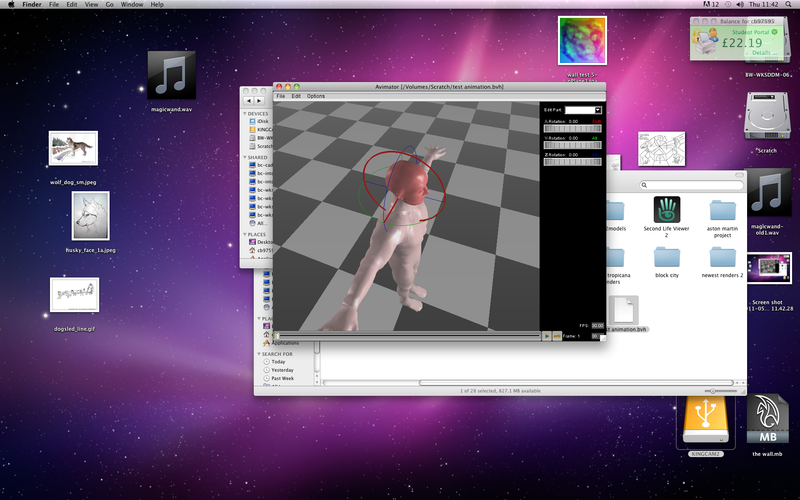 This is the simplified version of Qanimator, anamator they both work in the same way esept one is for pc only. To start an animation first of all you have to have frame one as a default T-shape for anamator to recognise the Size and shape of the avatar, then you set the key frames and how and start animating from the key frames, just like Flash anamator fills in the frames. 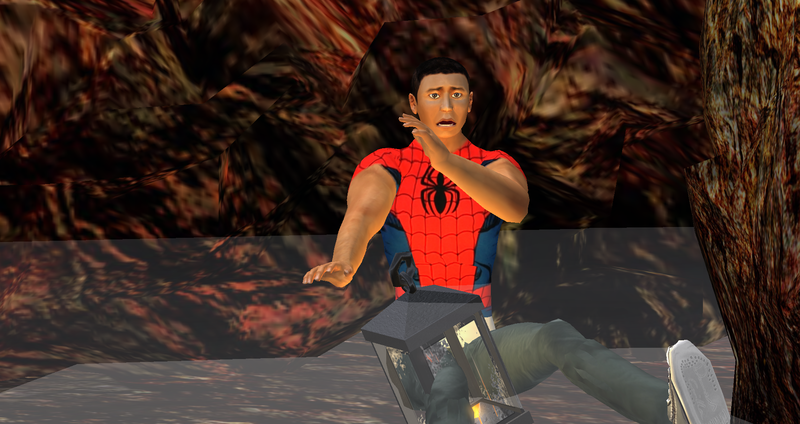 Here Is the animation for holding our lantain, I first did the T-shape then Moved his arm up to a holding position, finally I saved the file as a .bvh and uploaded it to second life. 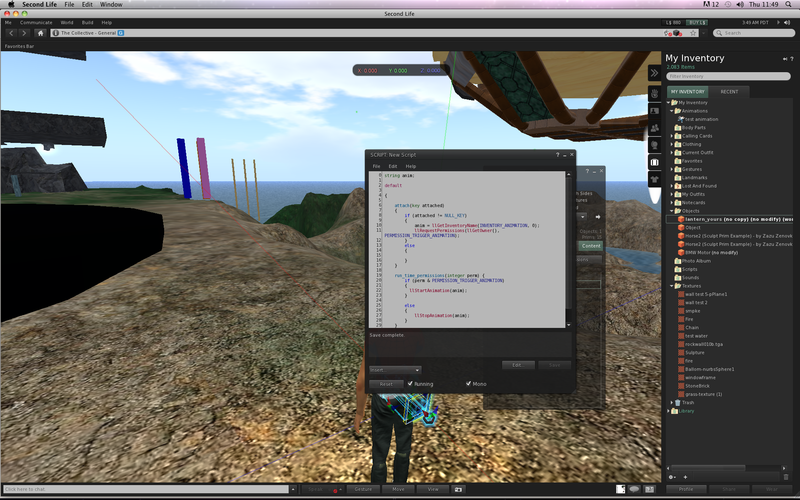 For Second Life to know to play the animation that has been uploaded just like sound a script has to be added to the object and the animation has to be dropped onto the objects. 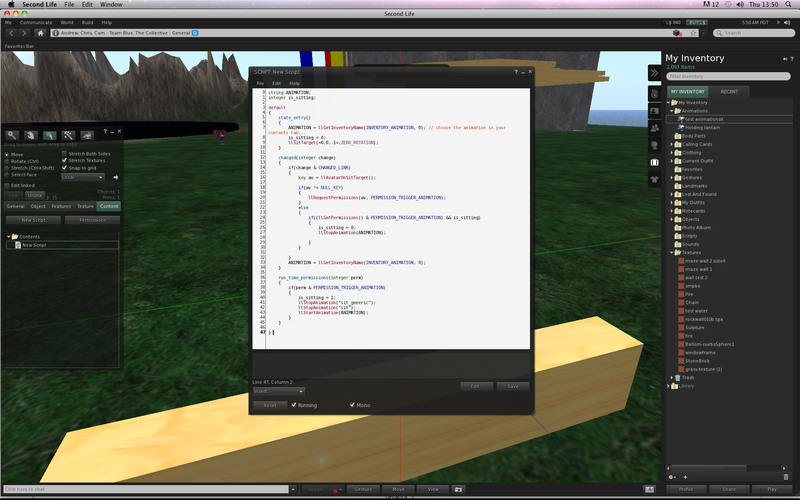 Using the same processes as before but adding a different script for the avatar to sit on a object. For our animatic I have started to create some animation to give the Avatar some personality an to act less like a stick character when we come to film. For our animatic we have decided to created some kind of film tralier with our environment. Here I have started to make an animation for him to get up at the start, we are going to have someone control the avatar so the then can have the animation windows open an play them, as the other person on another computer records the action. Here is the finished getting up animation that will be used in the animatic. This the character after he has banged his head, just before you upload your animation you are able to choose the facial expressions to give that extra detail. 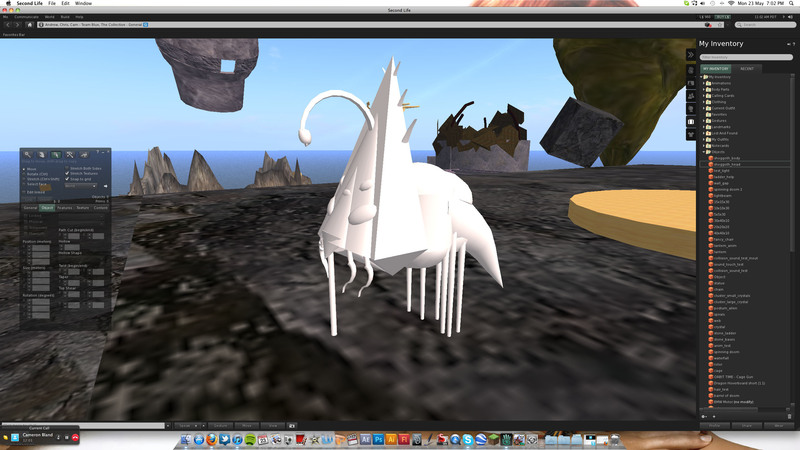 Animations don’t just have to be used to animate an avatar, here we have created one of our aliens and as it is smaller then the avatar it would not be seen. We have animated the character to be very small so it can not be seen so it looks like an alien instead.